Federal prosecutors want a judge to revoke bail for Martin Shkreli after he offered money to anyone who could grab Hillary Clinton's hair. In a court filing on Thursday, the prosecutors called it part of "an escalating pattern of threats and harassment." 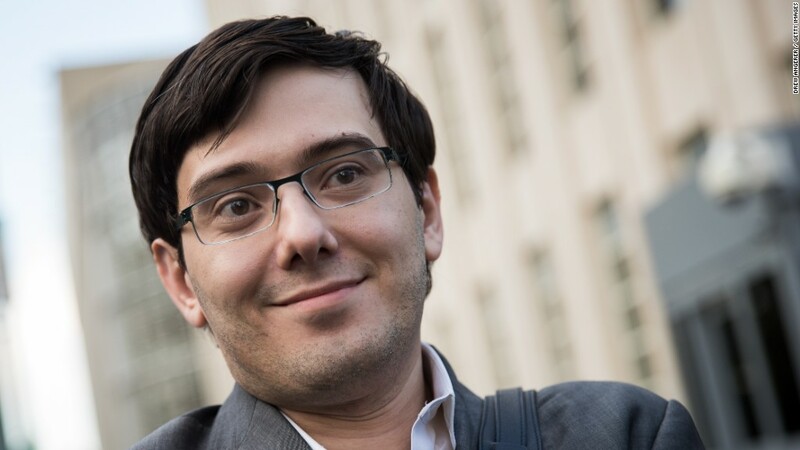 Shkreli, a former pharmaceutical executive who gained national notoriety two years ago for jacking up the price of a drug used by AIDS patients, was convicted of securities fraud last month for mismanaging two investment funds. The prosecutors cited a Facebook post on Monday in which Shkreli promoted a conspiracy theory about the Clinton Foundation and offered the money for a lock of Clinton's hair. Prosecutors wrote that it was "certainly not appropriate behavior for a defendant who has been found guilty of securities fraud and conspiracy to commit securities fraud -- a defendant whose detention is presumed under the law." Shkreli later edited the post to say it was "satire" and then removed it altogether. However, the post triggered an investigation by the Secret Service, prosecutors said. Clinton is promoting "What Happened," her memoir of the presidential campaign. Her representatives and the Secret Service declined comment. Prosecutors cited previous examples of harassment by Shkreli. After Clinton collapsed from pneumonia on September 11, 2016, Shkreli stood outside Chelsea Clinton's apartment, where her mother was recuperating, and live-streamed his own heckling, prosecutors said. Prosecutors also mentioned his online harassment of a Teen Vogue editor in January, which got him kicked off Twitter. Shkreli's lawyer, Ben Brafman, told CNNMoney: "However inappropriate some of Mr Shkreli's postings may have been, we do not believe that he intended harm and do not believe that he poses a danger to the community." During his trial in the investment case, Shkreli's courtroom antics got him in trouble with the judge. She chastised him for entering an overflow courtroom used by reporters and speaking to them directly, without his lawyer present, to criticize his prosecutors as "junior varsity." He also posted comments online and, against the wishes of his own lawyer, livestreamed his life on YouTube, where he would ramble on for hours, take calls and play chess, or sleep. The most serious count against Shkreli carries a maximum prison sentence of 20 years. No sentencing date has been set.